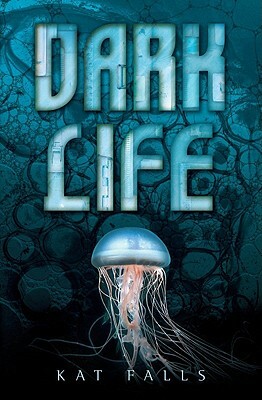 Kat Falls is the author of Dark Life and its sequel, Rip Tide. A graduate of Rensselaer Polytechnic Institute, she holds an MFA in screenwriting from Northwestern University, where she now teaches. She lives in Illinois with her husband and three children. Sixteen-year-old Ty, first child born to the pioneers who live in the depths of the ocean, has little patience for topsiders (land dwellers) until he meets feisty Gemma, who immediately enlists his help to locate her missing older brother. Their search is interrupted by pirate attacks of the notorious Seablite Gang and an ultimatum from the Commonwealth Government (located topside) that makes the pioneers responsible for stopping the raids. Ty and Gemma uncover connections between the pirates, illicit medical experiments, and Gemma\u2019s missing sibling, who happens to have secret supernatural gifts—like Ty. Although set in an undersea future, this rousing adventure has all the hallmarks of a western, including outlaws, homesteaders, and plenty of shoot-\u2019em-up action (only with harpoonlike weapons). Good guys and bad guys are fairly obvious, as is the outcome, but the exotic setting and well-conceived details about undersea living, along with likable characters and a minor surprise at the end, will keep readers turning the pages. Try this with the ecofiction of David Klass.